Psychotherapist Susan Anderson had been helping her clients overcome heartbreak and loss for over twenty years when her longtime partner told her he didn’t love her anymore and left their relationship out of the blue. As she struggled to cope with her own pain from that abandonment, she recognized that healing from such a deep emotional injury requires realistic, well-researched, and clinically tested steps. 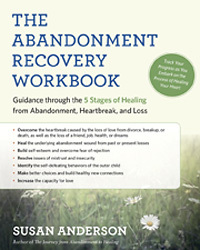 That is what her Abandonment Recovery Workbook: Guidance through the Five Stages of Healing from Abandonment, Heartbreak, and Loss is designed to provide. sits down with Kim Corbin of New World Library to discuss life after her fiancé and coauthor of Succulent Wild Love, Dr. John Waddell,died and moved “beyond the physical.” She shares some of the ways that John has been communicating with her in his spirit form, and she opens up about living a life in which she grieves as deeply as possible while also living as wildly and joyfully as possible. As the oldest of seven Montessori-educated children, Renée Trudeau has seen firsthand how parenting with a down-to-earth and empowered style can create harmony and flow in the stress and chaos of family life. 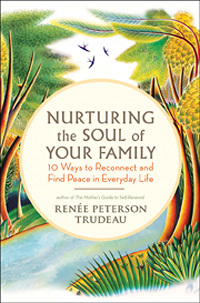 Her book, Nurturing the Soul of Your Family, offers strategies for stressing less and flowing more, especially in the hectic first weeks of the school year. Far too many women spend countless hours lamenting their issues with men. Far too often, they end up “settling” for a guy who might seem like Mr. Right in some ways but who could never become a true partner or satisfy their deepest desires. 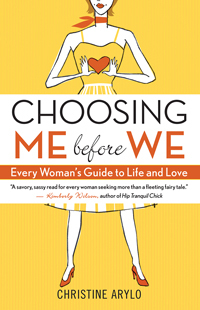 In Choosing ME before WE: Every Woman’s Guide to Life and Love, bestselling author and life coach Christine Arylo turns the topic of love relationships on its head by asking women to stop trying to find, fix, or catch a mate and to start getting real with themselves. 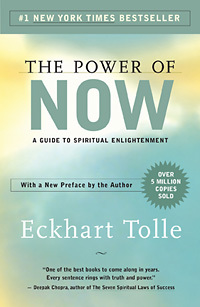 Eckhart Tolle’s profound yet simple teachings have helped countless people throughout the world find inner peace and greater fulfillment in their lives. At the core of the teachings lies the transformation of consciousness, a spiritual awakening that he sees as the next step in human evolution. We hope you’ll enjoy this excerpt from his New York Times bestseller The Power of Now: A Guide to Spiritual Enlightenment.